PART 1) Accreditation For Photographers. PART 2) Accreditation For Merchants. Objective – To create a network of Photographers of varying skill levels which are competent to take on paid commercial projects, photography assignments or photography education as assigned by Ourshutterjourney LLP, a photography company that is registered in the Republic of Singapore. Where we believe that unity is strength, the bigger our pool of photographers, the bigger chance of expanding the opportunities to be shared among this special group. Mentoring – To create a framework of seminars and workshops that will be undertaken by Ourshutterjourney LLP where all successfully accredited photographers will have the opportunity to learn new things and techniques for specific commercial work and where photographers will have a chance to upgrade their skills and hone their crafts further in their specialized genres. Benefits – All successfully accredited photographers will enjoy the below benefits. 1) Paid Commercial Jobs assigned to you at our discretion. 2) Free mentoring at our APN seminars and APN workshops. 3) Get Paid for your photos by licensing your photos with APN’s Authorized Vendor. 4) You may use the Shutter Journey logo on your website, namecards subjected to our approval. 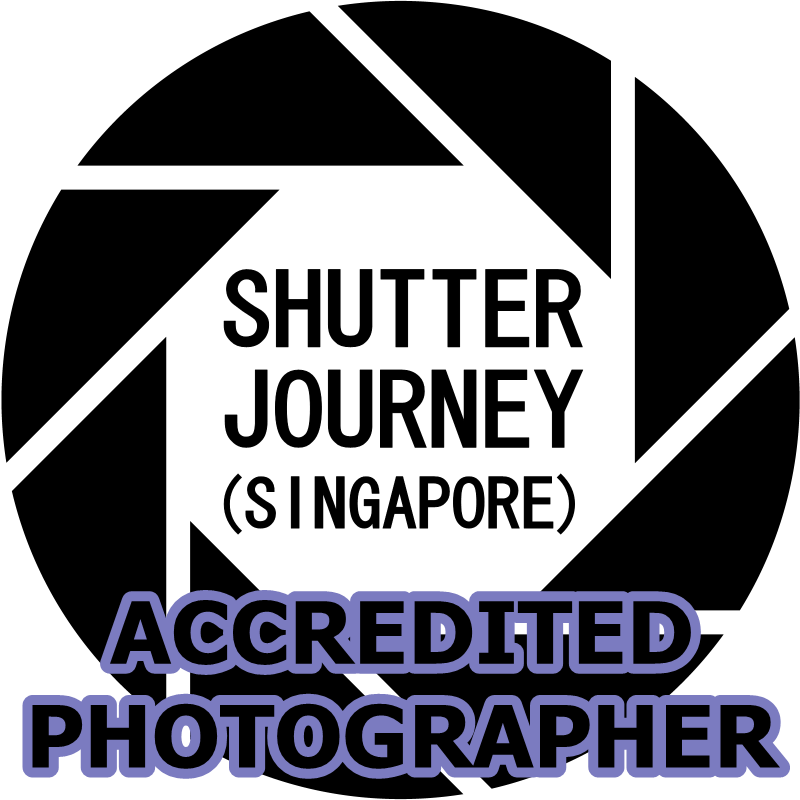 5) You may use the Title “Accredited Photographer, APN” after or below your name. 6) You are still free to accept any job personal/ company jobs without having to notify us. 7) You will be Featured on Ourshutterjourney.com from time to time at our discretion. 8) You are Not obligated to join any of our Photography Groups as the APN is a standalone network. 9) Your Membership with APN is Free. 10) Enjoy special discounts and deals at our Accredited Merchants Network. 11) You will be listed on our Accreditation Page with your contact details so clients can also engage you directly without going through us. And if clients contact you directly via our page, you need not inform us too. Should you not get any job from us, hey, you still enjoy all the benefits above as an accredited photographer. 1) Email ourshutterjourney@live.com.sg or Ourshutterjourney@gmail.com for the Application Form. We will email you a copy. 2) Please note that applications with improper or partially filled up forms will be rejected. 3) Please submit 03 digital images with your watermarks that best showcase your work for our assessment of your photography level. 5) You will be notified once your application is successful and you will be assigned a membership number, please quote your membership number for all future correspondence relating to APN. Once a merchant’s application is accepted into the scheme, the merchant will be listed here & the merchant’s outlets will carry an ourshutterjourney.com sticker at their doors, cashier counters, websites, to indicate that the shop had met our requirements for the community to shop with these merchants with a peace of mind. So next time while shopping for photography equipments, buying cameras or lenses, rental of photography equipments, repairs & trade in, just look out for our logo at these merchants. Well, while every dog has its day, there’s also a possibility that someone out there is going through a bad hair day. If you have been treated unfairly at any of our Accredited Merchants, or has any other feedbacks, please kindly send your story to ourshutterjourney@live.com with the subject header “Merchant Feedback”. We will investigate for you. We will not burn the merchant’s shop for you but we will seek to mediate in a cordial & fair manner to help you & the merchant settle the issue. How to get Your Brand & Business Accredited? Find out how to be our good supplier & service provider for our community (about 12,900 members combined), just send an email to ourshutterjourney@live.com.sg with a subject header “Accreditation Request” and an Application Form will be forwarded to you. We will also send someone, a secret shopper, to check out your shop, the customer service, pricing to assess your suitability. Once we decided that you are safe for our community, we will issue you the Accreditation Stickers for you to display at your shop(s) or your website.